One of the first toys we bought for our son was a wooden train set, we we’re at ikea and they are so cheap – so we grabbed one. The next time we went back, we picked up another wooden train set. Then we bought some of the Thomas the tank engine extension tracks and THEN we were gifted a huge box of hand me down Thomas, big jigs and brio train tracks. SO MUCH TRACK! BUT even with loads of train track….Playing trains everyday was starting to get a bit boring, my train game was limited. I needed new layout ideas and of course thought we needed tunnels or bridges, so I got on pinterest. OMG My train game needed to lift it’s game to take it to the next level. Pinterest delivered (as it always does) and the next morning I was practically waking my son up ready to play trains. Sooooo many cool layouts and ideas to try. That morning we tested a few new wooden train track layouts, we raised the bar with double height track. It was awesome! The best news, you don’t need to spend loads to take your train game to the next level. Here’s what you’ll need – Wooden Train Track, Mega bloks or Duplo, Masking tape, Motorised Engine. For some inspiration – check out these guys who have really taken their train playing to a whole new level! 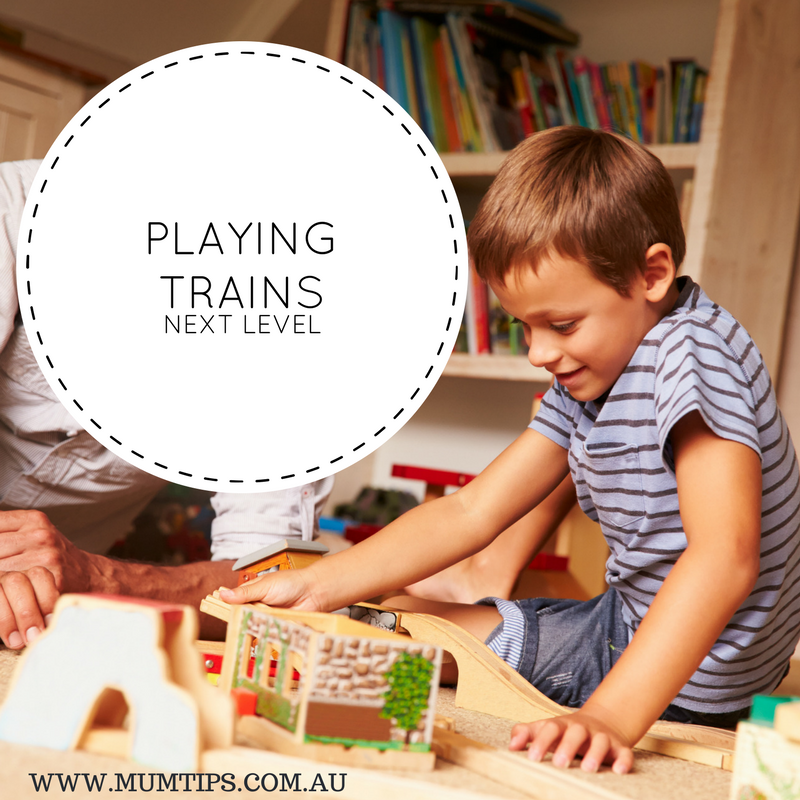 Happy Train Track Building and We’d love to see some of your “next level” train game in action!